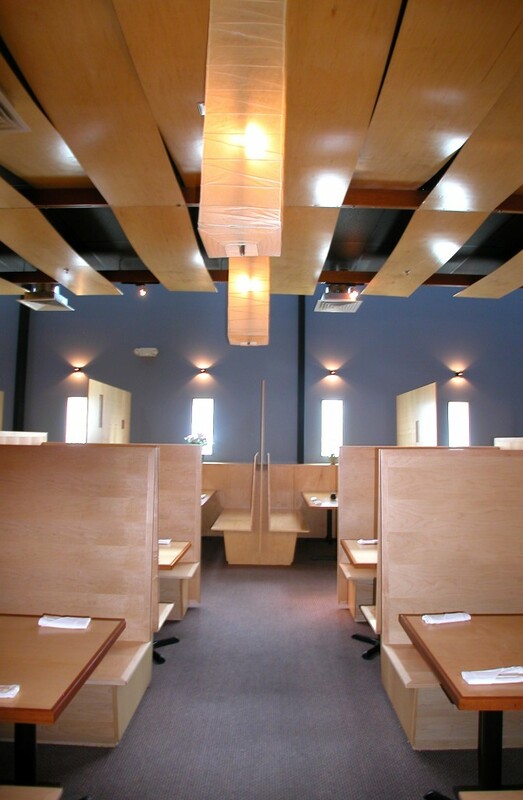 A tranquil setting for an enjoyable dining experience is created with soothing light. The undulating ceiling detail is subtly highlighted from an assortment of lighting fixtures. The zen-like atmosphere of quite rhythm is created with thoughtfully placed wall sconces. Simple rectangular pendants with soft incandescent lighting provide soft, flattering light. 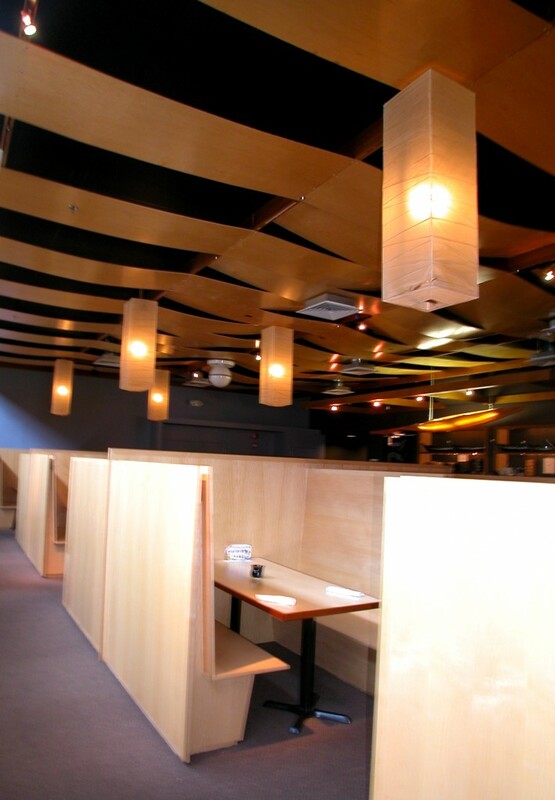 Halogen pendants at the bar provide crisp accent for a more vibrant atmosphere. 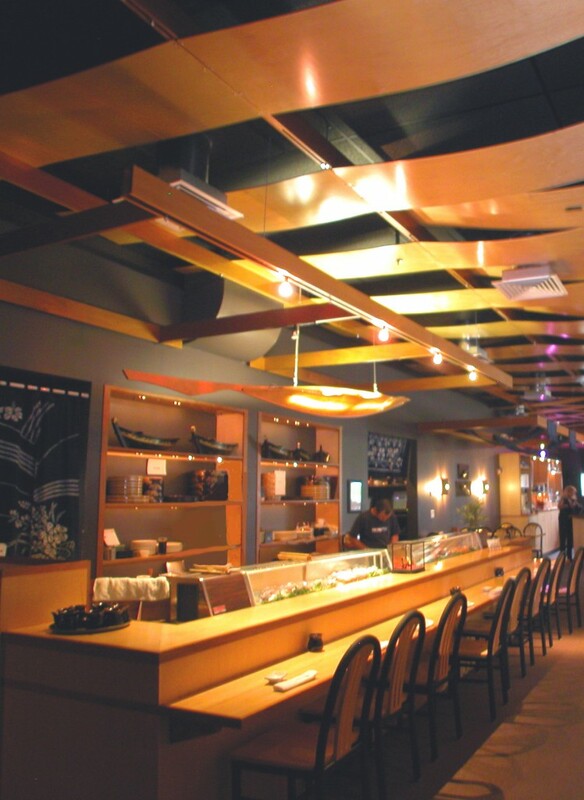 Linear fluorescent fixtures sit within the floating bamboo fish above the sushi bar for uplighting and creating a focal point in this area. 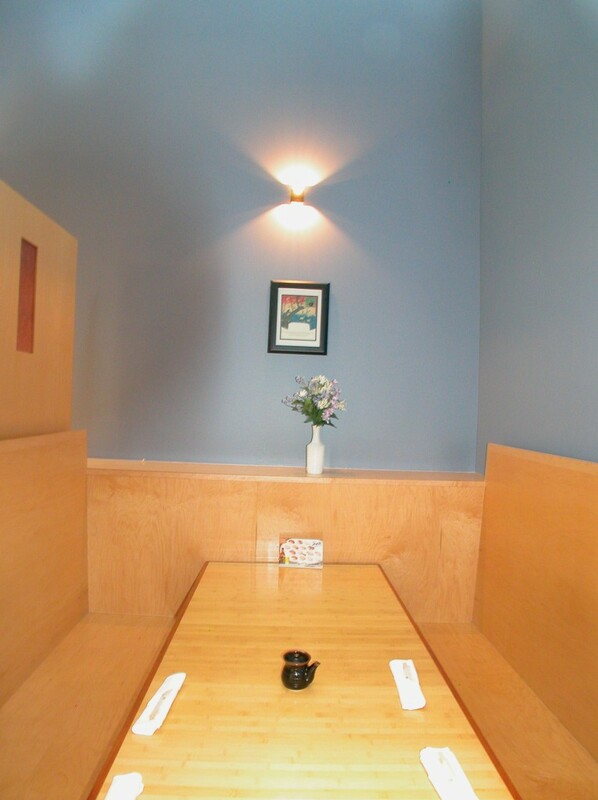 The beauty of the creative use of simplistic lighting effects solidifies the Japanese inspired interior.